Apple has partnered with Lazada to bring official online sales of its items to several Southeast Asian cities. You can now shop comfortably for new iPhone gadgets from your home. Consumers can still enjoy the same Lazada features such as Cash on Delivery options, Fast Delivery, Easy Returns. And since it is official, you can also get an official warranty to with your chosen iPhone/iPad. We’ve browsed through the official Apple Store on Lazada and noticed that the items are quite cheaper than the listed price on Apple Philippines website. Online shopper can enjoy up to Php2000 price difference on iPhones and Php4000 for Macs. Here is the news release sent out by Lazada. MANILA, PHILIPPINES, 8 December 2017 – Fans of Apple can now buy their favorite Apple products on Lazada, Southeast Asia’s leading eCommerce company. Consumers can start browsing this holiday season when the Apple ‘Shop-in-Shop’ on Lazada officially launches today (8th December) in the Philippines, Indonesia, Thailand and Singapore. This will be followed by Malaysia on 11th December, and then in Vietnam. By shopping on Lazada, customers can choose to pay for their Apple devices through Lazada’s 0% financing instalment plans1. 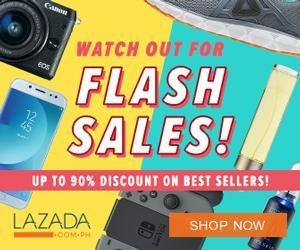 Exciting surprises also await Lazada customers looking to score savings from deals offered during the finale of Lazada’s Online Revolution shopping event, the Grand Christmas Sale. More details will be announced later.